My house and I have been falling to pieces, but I think things are finally starting to fall into place. This past week, I've been fighting a cold, which really isn't a big deal, except the symptoms are buggy and get in the way of things like sleeping and breathing. Fortunately, I won the battle and the war is drawing to a close. 1. I'm thankful it was just a cold. So many people seem to have been put out of commission with the flu this year; if I had to choose between a cold and the flu, I'd definitely pick a cold. 2. I'm thankful for Zicam. Of course, I have no idea whether it actually shortened the duration of my cold, but I'm on the mend and will gladly give Zicam the credit. 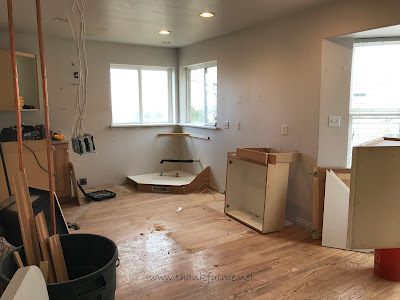 While I've been fighting a cold, I've been trying to orchestrate a kitchen demolition and other home remodeling projects. The demolition is just about complete, which means that pretty soon progress will look like progress and not chaos! 3. I'm thankful for the contractor who tore out the old cabinets and pantry and will start repairing drywall next week. 4. I'm thankful for the plumbers who moved some pipes from the old pantry wall to a remaining wall, and installed a gas line for the stove. 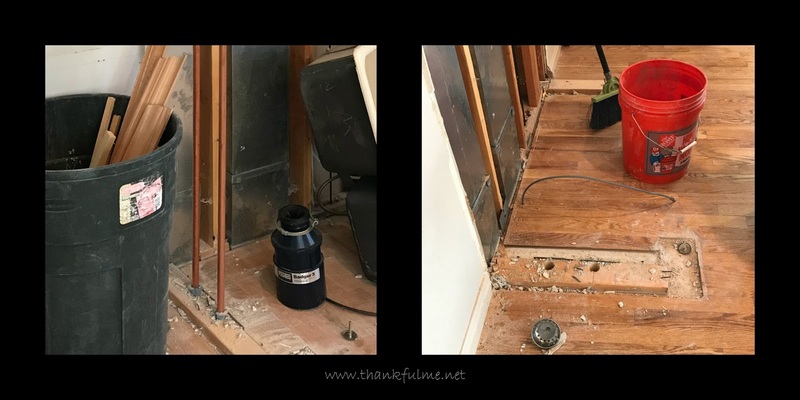 Photo: On the left, a photo that shows two copper pipes going into the kitchen floor. On the right, the pipes have been removed. 5. I'm thankful for the electricians who moved switches and outlets, and replaced and installed fixtures. Photo: The new light fixture on my living room ceiling. The circular, black metal fixture is flush-mounted, with three candalabra lights. Around the fixture are diamond-shaped panes of glass. 6. I'm thankful for designers and fabricators, who will soon turn our selections into new cabinets and counter tops. 7. I'm thankful for ksl.com, whose classified ads are more popular than craigslist here in Utah. 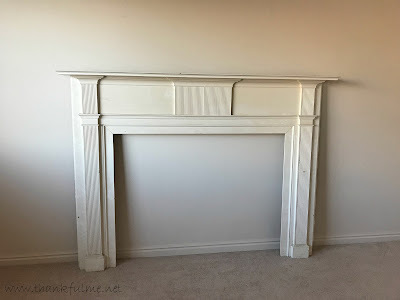 Though we don't have a fireplace, I wanted to find a mantle to create a focal point on the wall. I didn't want something new--I wanted one with character--and I didn't want to pay an arm and a leg. After looking off and on for months, I finally found one that met my requirements. 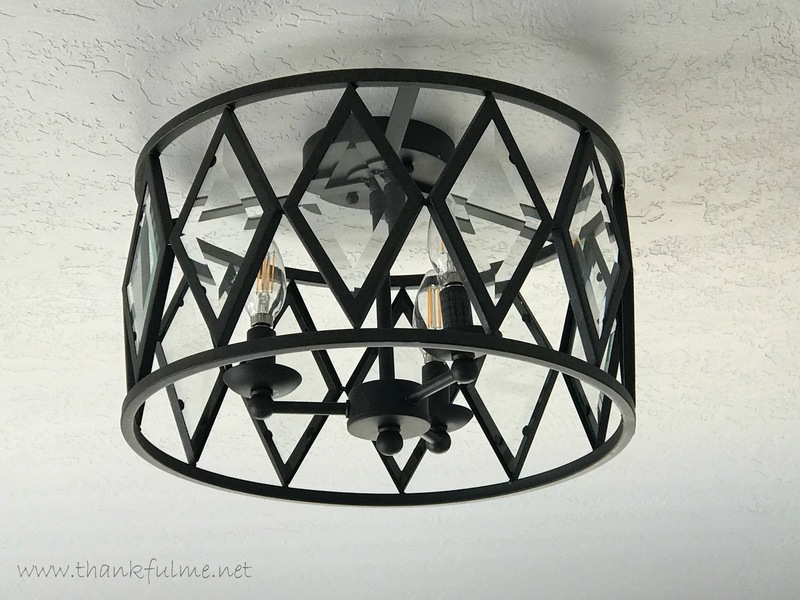 It had been an original fixture in a house built in 1951, and it had some architectural detail. John and I picked it up today. Right now it is just leaning against the wall, waiting patiently for its turn in this remodeling process. Though I have spent many hours at the house this week, much of my role has been supervisory. 8. I'm thankful for my oldest daughter playing Words with Friends with me. Though we don't have internet at the house yet, I could access the game on my phone. My daughter is a formidable opponent! 9. I'm thankful for a little radio, which allowed me to listen to the funeral proceedings for Thomas S. Monson. I had considered driving up to Salt Lake City to attend in person, but due to my cold I decided to stay away. That wraps up my 10+ things of thankful for this week. What are you thankful for? Join in at the Ten Things of Thankful blog, and see what others are listing. I will post photos once the kitchen is complete. I’m excited to see it myself! Aren't skilled workmen a blessing! I'd love to find a good handyman/woman. So often professionals don't do small jobs. Glad to hear your cold has run its course and that you're feeling better. Yes, the glaze does put a thin dark accent on all the edges. Glad you got over your cold and making progress in your new house. Look forward to the pictures ones it's ready. Can you stay warm there?? I hear of that horribly cold weather over there, but I thought it was mainly on the east side?? Hope it stays there. 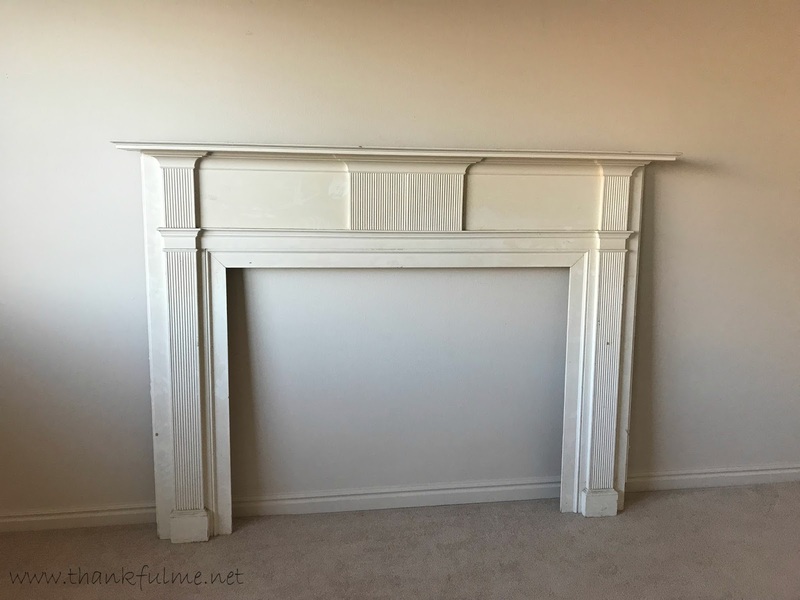 Good luck on all the remodeling going on - LOVE the fireplace-mantle! Until yesterday, we were actually having unseasonably warm weather. Today it snowed all day long, but we haven't had much snow before today. That fireplace mantle looks great! 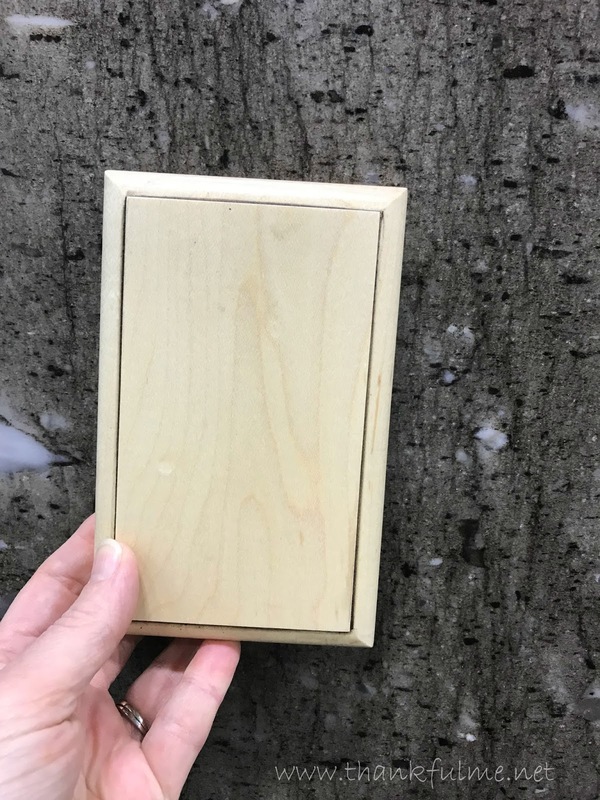 What kind of ideas to you have for it? It is a great accent piece. We'll probably just end up attaching it to the wall as is, unless I find a different idea I like better. No need for me to laugh! I like to hike, but I don't like to fall, and ice is slippery! Remodeling is difficult but worth it! Hi Kristi! It was so fun to come here and see what's happening with your new house! Remodeling is stressful and tiring, but also exciting as you see progress being made and your vision becoming a reality! I love the cabinet and countertop choices, the amazing ceiling light, and the perfect fireplace mantle. It is going to be so beautiful when finished! I am sorry you've been fighting a cold, it does seem like almost everyone's been hit with colds and flu this season, I'm still hoping to avoid it. 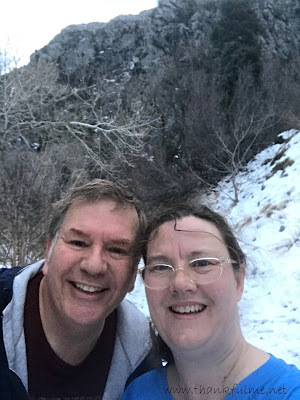 It's wonderful that you and John are out there hiking in the cold, your scenery is so beautiful and I know it restores not only your energy, but your soul as well. If you'd like another Words With Friends partner, my ID is wj.harris and I'm always looking for someone new to play with! I hope you continue to avoid the crud! Falling to pieces and falling into place, the progress rather than the chaos. Lovely post. Definitely, cold over flu, which sounds bad this year. I hope to avoid it. I had a cold to start the week too. I got my flu shot a little late too. By the sounds of things, you are super busy with all this remodelling. Sounds like it will be all worth it when it's done. Thank you. I am looking forward to having the house done, though I am a little less excited about packing and moving again. Glad you are feeling better. Nice list of thankfuls. I can't wait to see the completed renovations. The fireplace mantle is gorgeous.